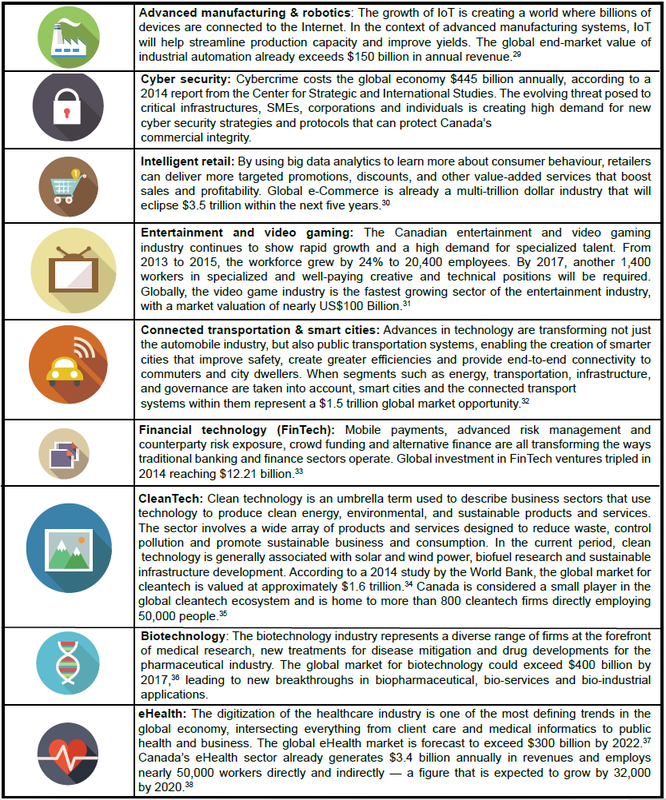 Nestled inside a new report from the Information and Communications Technology Council (ICTC) is a fascinating breakdown of just which sectors in Canada’s rapidly growing information and communications technology (ICT) industry are expected to fuel the most growth over the next five years. Canada’s digital economy already employs 877,470 IT professionals throughout a variety of sectors, according to the report, the majority of them working outside the traditional IT industry. And in marked contrast to the rest of the Canadian economy, Canada’s IT industry has grown by an average annual rate of two per cent over the past five years, and 6.4 per cent during the past two years, ICTC says. So which sectors of the industry does ICTC believe will lead technological development into 2020 and beyond? Some, like the Internet of Things (IoT), or what the organization calls social, mobile, applications, analytics and cloud (SMAAC) technologies, probably won’t surprise you; while others, such as automation or additive manufacturing, just might. 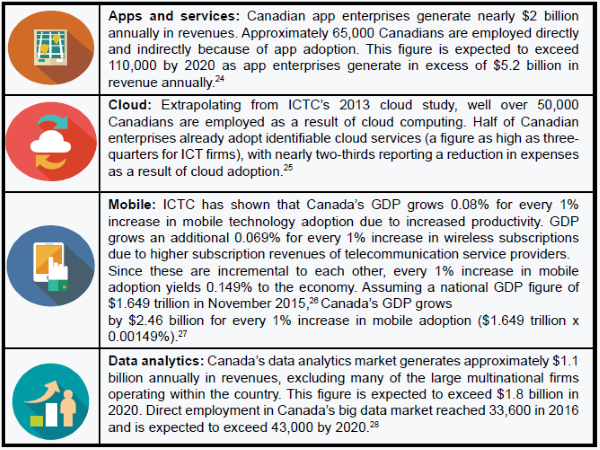 Beyond these four key growth drivers, the ICTC report outlines four other high-demand sectors currently driving the digital economy, spurred by a demand for real-time intelligence, predictive analytics, risk management and machine-to-machine connectivity: apps and services, cloud, mobile, and data analytics.